The Clarisonic obsession is growing fast amongst beauty addicts including professionals, shopaholics and beauty bloggers alike. 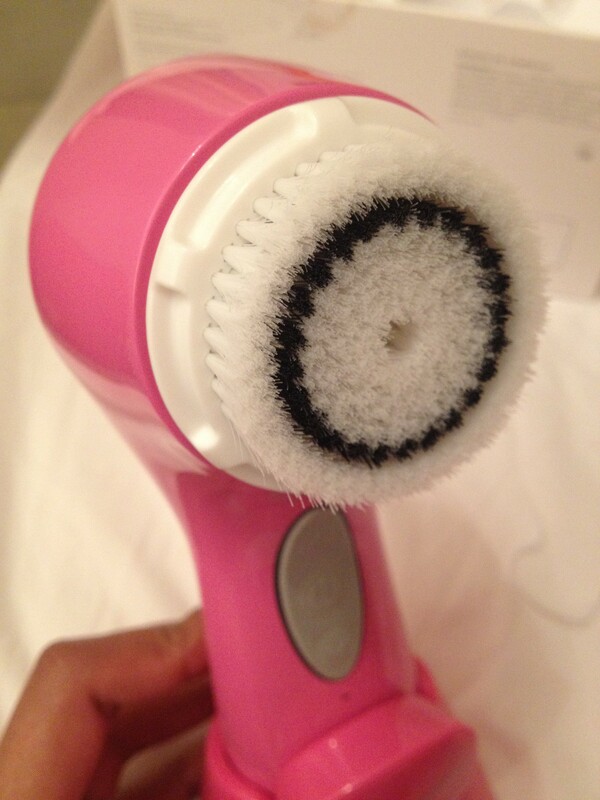 The all new Clarisonic Aria was sent to me for review by Debenhams and I have two words…THANK YOU! This beauty brush cleans and polishes your skin like nothing else! With three different settings, even the delicate setting cleanses your skin six times better than just washing your face with water and the delicate setting is gentle enough to use everyday. The movements in the bristles works the skin’s natural elasticity to remove dirt, grime, make-up and general impurities leaving you with smoother, softer skin and that all important glow. Due to the deep cleansing, your skin absorbs your moisturisers and skincare products much better, meaning it also reduces the appearance of wrinkles, fine lines and open pores. It comes with a sensitive skin brush head, additional brush heads are available to buy for about £12-13 and it is advised that you replace your brush head every three months. Also included is a drying stand, a wall adaptor and USB enabled charger. I use the Clarisonic Aria every evening before bed to ensure every last bit of make-up is removed from my face. I apply my usual cleanser but do not wash off. Then I use the pre-programmed settings; starting on my forehead for 20 seconds then there’s a beep to tell me to move on to my nose and chin for another 20 seconds and then a beep for ten seconds on one cheek and then a beep for ten seconds on the other cheek. After this I wash off my usual foam cleanser with water, pat my face dry and place the brush on the drying stand. I then go on to apply my usual toner and night cream. I have been using the Clarisonic Aria for about a month now and my skin definitely feels smoother and much cleaner. For an extra deep clean or boost about once a month, you can use one of the higher settings with the same programming.